A no-filler gem, irrespective of your musical partialities: Beautiful! It's ELECTROPOP! There... I've said it!! Now, to those who haven't immediately averted their attention towards the next review, I congratulate you – you quite clearly have an eclectic palate and don't care one iota what label or stigma is placed upon a piece of music, as long as it's worthy. I can assure you, this album is indeed commendable of its place within these hallowed pages. If we must adopt the Label Police protocol, then 'Progressive Electro Techno Pop Rock'(!) could well be the correct terminology for this sophomore offering. 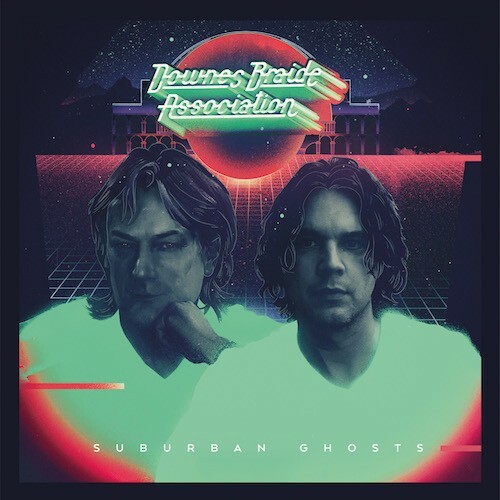 As the band name clearly implies, the Downes Braide Association is made up of Geoff Downes (Buggles, The Producers, Yes, Asia) and man of the moment Chris Braide, who's creative output recently has been nothing short of remarkable. In 2014 he released 'Fifty Dollar Planets And Twenty Cent Stars' (reviewed HERE), then just six months ago he gave us 'Universal Mind' under the moniker of This Oceanic Feeling (reviewed HERE). I'm no longer going to waste any more time waxing lyrical about Braide; please, just use "t'internet" and read for yourselves. The final thing I will say in defence of this genre adorning these pages, is that it is no different from spotlighting Blackmore's Night; Blackmore and Downes are both revered Rock artistes who have fingers in multiple pies. So what of 'Suburban Ghosts'? Continuing in a comparable vein to their 2012 debut, 'Pictures Of You', Downes Braide Association have come up with another composition that translates into a technicoloured tapestry of tunes narrating their upbringing in Cheshire, England then their migration from, and subsequent nostalgic return, to it. From the very first programmed drum beat, 'Machinery Of Fate' transports you back to those Technotastic days of Buggles, Pet Shop Boys, Talk Talk et al. For hardened Rockers it will come as a shock, but within minutes the pulsating beat captivates. The sumptuous title track (Parts 1 to 3) slows things down a smidgeon, but the lyrical content intensifies under the masterful, and harmonious guidance of Braide's superb storytelling vocal delivery (Part 2 has an underpinning guitar refrain akin to The Carpenters classic 'Goodbye To Love'). Each ensuing track wraps itself around you like a fifteen tog, extra-warm winter duvet, whilst Downes' keyboard expertise continues to impress. The Camel-esque (circa 'Stationary Traveller') 'Number One', and the Ultravox-ish (circa Vienna) 'One Of The Few' are two more wonderfully crafted refrains. Even the lavish ballads, 'Vanity' and 'Live Twice', perfectly enhance the conceptual correlation. 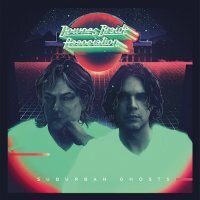 I can't emphasize enough, 'Suburban Ghosts' is a no-filler gem, irrespective of your musical partialities. Overtly it appears simplistic, but delve deeper and you'll marvel at its top-notch technicalities. Beautiful!